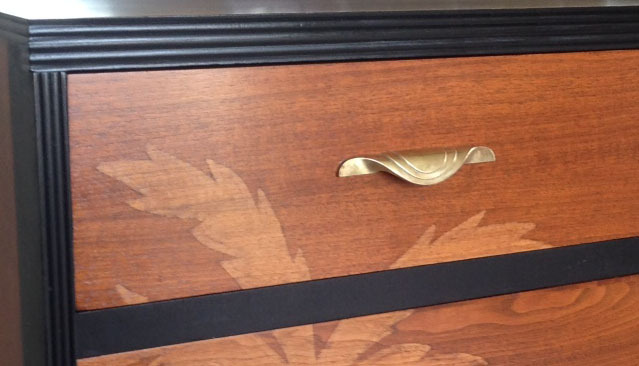 I have some old art deco style bedroom furniture that had belonged to my grandparents. 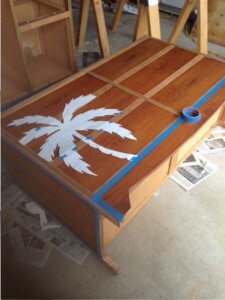 was a stretch of warm weather last month, so I used my spare time to refinish it. I moved my car out to the street and turned the garage into a temporary workshop. I began with the messy job of stripping the old finish. This went fairly smooth except for the top of the dresser. That took about 8 layers of stripping and sanding. 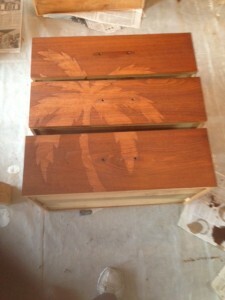 – First coat of golden oak stain. 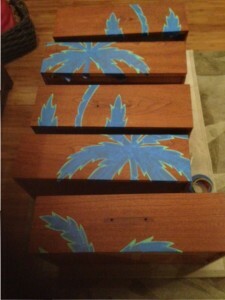 – Created a stencil and transferred it to the furniture. 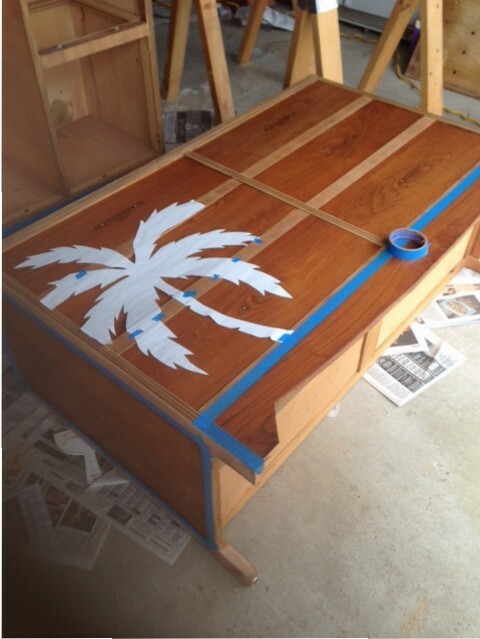 – Taped up the palm fronds and stained the rest of the furniture with american walnut. – Removed the tape and cleaned up any leakage to get the final result. 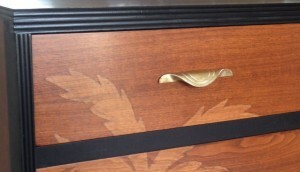 – Painted trim with semi gloss black paint and cleaned up hardware with Brasso cleaner. 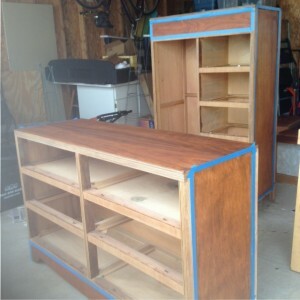 – Finished up with 3-4 coats of polyurethane semi gloss to get the final product. A few days into the project, I received a warning ticket on my car from the HOA. No commercial vehicles are allowed to be parked in the neighborhood. The car will be towed on Monday. I called the association manager and explained it was temporary and that I was almost finished. He generously gave me until Tuesday midnight to get the car off the street. Seriously? Gee thanks. See the finished furniture here. What fun projects have you done in your spare time? Have any good HOA stories?